Here we go folks, the NBA season is less than a week away from Tip-Off, and that makes us VERY happy. There are so many questions to answer, but let’s just stick to the ones that are on the forefront of my mind right now. 1) Will Kobe Bryant come back from his torn Achilles tendon as the Mamba/Vino, or will he be just a shell of his former self? Will Derrick Rose, Kevin Love, Rajon Rondo? 2) Will the Miami Heat fail or succeed in their bid to secure a three peat, and make it to the NBA finals four years in a row? If they don’t, where do they fall, and whom do they fall too? 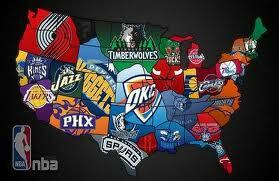 3) Which team, if any, in the NBA can unseat the Heat? Is that even possible after the past three years (2 championships, 3 straight trips to the finals, arguably the best 1-2 [and 3] combo in the league, the best player in the league, and a 27 game winning streak)? 4) Will the Clippers finally distinguish themselves where it matters most, in the playoffs? 5) Are both of NY’s team’s contenders, or pretenders? Which one of them has a more legitimate chance of competing for a title? 6) How serious are the Rockets? 1) Kobe is Kobe. There are few who can match his competitive drive, and after a whole summer’s worth of hearing people debate about how he’ll come back, he’ll do whatever it takes to come back as his old self. Derrick Rose is back, 21.8 points, 3.4 rebounds and 7.9 assists through the preseason should alleviate any and all worries Bulls fans might still have. Same goes for Kevin Love who is putting up his monster double doubles, on a daily basis. Though Rondo isn’t due back for some time, there is no reason to think he still won’t be a top point guard, the only difference; he won’t have Kevin Garnett and Paul Pierce to pass to. 2) At first guess, the answer is, yes The Heat will succeed and LeBron will win a third title. However, personally I don’t think they will. The eastern conference has become much more competitive, with the Pacers, the Bulls, the Nets and the Knicks adding pieces to already solid rosters. Of those 4 the Pacers are the team most likely to supplant the Heat. Consider last season’s E.C.F finals where they took them all the way to game 7, and were a potentially bad substitution away from winning. They retained their core, Danny Granger is back, and Lance Stephenson has something to prove, after an encouraging season. Next they added Luis Scola, Chris Copeland and CJ Watson to shore up their bench offense. While they might not match up with the Heat in terms of pure Star power (though Danny Granger, Roy Hibbert and Paul George aren’t a bad star lineup), they DO match up (and win) in depth and bench production. 3) Expanding upon question #2, the Indian Pacers are the team MOST likely to unseat the Heat. The other serious contenders on this short list include the Chicago Bulls, the Clippers and the San Antonio Spurs. I can’t put the Thunder in here because this is the first season they’re playing without an established 3rd man, if someone can step up and fill that role, they’ll be back in contention. 4) I put the Clippers on question 3 for a bunch of reasons. An elite, no nonsense coach that knows what it takes to win a title is the first step toward legitimacy. The next reason is their depth. They have what it takes, from the role players (Louis Admundson, Willie Green) to the stars ( Paul, Griffin) they are a legitimate 10 deep team, with players who can (and will) take over close games. Look for the Clippers to aim for a 60 win season, a top 3 seed in the Western Conference and a berth in the W.C.F. 5) Pretenders, the Knicks more so than the Nets. The Knicks have not really upgraded over the summer, adding a shooter who can’t shoot, and a great defender who is a couple years past his prime. They’ll win and they’ll be fun to watch, but inevitably they will flame out in the 2nd round (and even the first depending on whom they match up with). The Nets are a bit different, they’ve clearly upgraded, adding Paul Pierce, Kevin Garnett, Jason Terry and Andrei Kirilenko, to their core of Deron Williams, Brook Lopez and Joe Johnson. However, they are untested as a group, their coach is brand new and they will have to compete with the Miami Heat, the Bulls (who have regained their MVP) and of course their house mates in the city, the Knicks. 6) The rockets are a wildcard in the west, talented enough to go toe to toe with any team, in any conference, but unproven. They have no Chemistry yet, and until they develop it, they won’t be able to jump over the list of Western Conference contenders that include the Clippers, the Spurs and the Thunder.